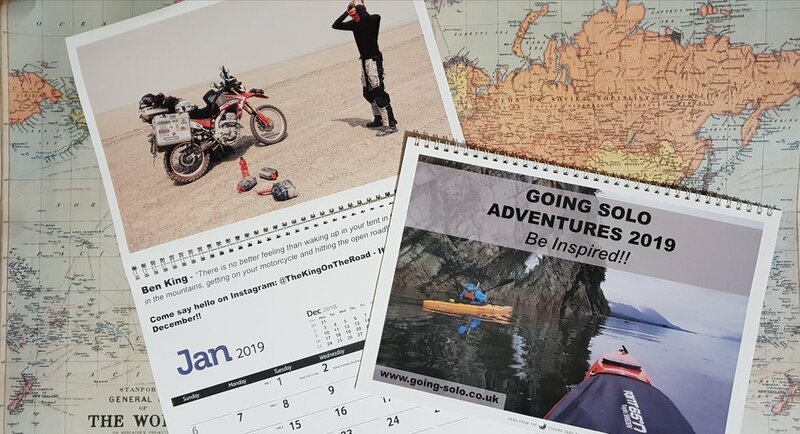 Sign up to our Quarterly membership before 25th January and we’ll send you a FREE Going Solo 2019 adventure calendar worth £10. Going Solo, run by Paul Everitt, is a collection of inspiring blogs featuring stories of adventures large and small from a whole array of fun-loving folk. From motorcycling around the world to polar expeditions and even a look at what van life is really like. In addition to his ever popular Map Buffs, Paul has now launched the 2019 adventure calendar to help share people’s stories far and wide. Featuring some of his favorite people of 2018, each month offers a different adventurer to get you thinking about exploring the world around you. His calendar is a great accompaniment to books filled with adventure - get inspired and plan your own adventures too! *Applies to either our Roaming or London quarterly membership. Offer includes free delivery. Simply subscribe before 25th Jan 2019 and we’ll get in touch via email to arrange delivery of your calendar. Cannot be used in conjunction with any other offer.